WASHINGTON, Feb. 13, 2014 /PRNewswire/ — Brand USA today announced that its marketing is having a significant and positive impact on U.S. international arrivals and the U.S. economy, as reported in a study conducted by Oxford Economics. As detailed in the report, for the year-ended September 30, 2013, Brand USA’s marketing campaigns generated 1.1 million incremental visitors to the United States — a 2.3 percent increase over growth that would have occurred without Brand USA marketing initiatives. These additional visitors spent $3.4 billion in the United States, including travel and U.S. carrier fare receipts. This spending fuels the U.S. economy by generating $7.4 billion in business sales, $3.8 billion in GDP, and $2.2 billion in personal income, as well as supporting 53,000 new jobs. The results equate to a marketing return on investment of 47:1 based on Brand USA’s marketing expenses of $72 million and incremental international visitor spend of $3.4 billion. 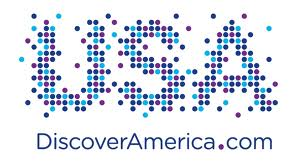 Brand USA is the public-private partnership responsible for promoting tourism globally to the United States. The effort is designed to fuel the United States’ economy and spur job growth. Its formation marked the launch of the United States first nationally coordinated international tourism marketing effort. The study includes analysis of eight markets – Australia, Brazil, Canada, Germany, Japan, South Korea, Mexico and the United Kingdom – where Brand USA fully executed consumer, trade outreach and co-op programs. “The U.S. tourism industry is a significant component of the U.S. GDP, exports and employment. International tourism is not only one of America’s best levers for creating jobs, growing exports and driving economic growth, the benefits also extend well beyond the travel industry to include retail, restaurants, transportation and other businesses,” says Christopher Thompson, president and CEO of Brand USA. To access the full report, entitled “The Return on Investment of Brand USA Marketing: 2013 Fiscal Year Analysis,” and obtain more information about Brand USA, please visit http://www.thebrandusa.com. via Brand USA Marketing Efforts Driving Growth in International Arrivals and Spend Study Shows – Press Release – Digital Journal. This entry was posted in Destination Marketing and tagged Brand USA, Tourism by The Travel Marketing Store. Bookmark the permalink.